Skype is a great way for people to communicate, but users may decide they want to limit communications with others. For this, Skype has a block option. When users block a person on Skype, the other person will likely not realize they've been blocked because users will always appear offline to them. Until they're unblocked, chat messages and calls will go unanswered. Highlight the person's name in recent contacts. Press Ctrl and tap your trackpad or right-click to show a drop-down menu. Select Block contact. This will bring up a pop-up to confirm the action. Users can also select Report abuse from this person if needed. The person’s name will be removed from the recent contacts list upon blocking. Select Contacts and search for the person within your list of contacts. Press the Ctrl key and tap your trackpad or right-click to show a drop-down menu. Select view profile to show a pop-up of the person's profile. Select Block contact. Again, this will show a pop-up to confirm the action. The person’s name will be removed from the contacts list upon blocking. 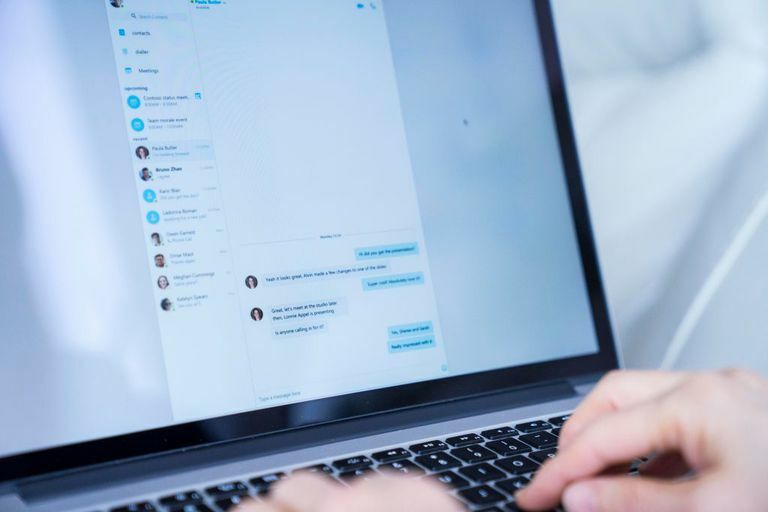 While the interface for Skype for Web may look a little different from its desktop counterparts, the process for blocking a contact is nearly identical. Access the Contacts booklet icon at the left side of the screen. Scroll to search for the contact you wish to block. Highlight the name of the person you wish to unblock. Press Ctrl and tap your trackpad or right-click to display a drop-down menu. Select Block contact. This will reveal a pop-up to confirm the action. The person's name will have a red stop icon next to it upon blocking. Long press the person's name in recent contacts. This will reveal a pop-up menu. Select Block [name]. A pop-up will appear, asking you to confirm the action. Users can also select Report abuse from this person if they need to. Select contacts in the bottom-left corner of the screen to bring up contacts. Long press the person’s name to display a pop-up menu. Select view profile. This will reveal a popup of the person's profile. Select Block contact. This will reveal another pop-up, asking to confirm the action. To block someone in Skype for Business, you must have them as a contact in outlook. Go to Outlook, select New Items in the upper-left corner, then Contacts. This will bring up a contact form to fill out. Enter the phone number you wish to block, a name for the contact, and an email address. The email address can be a dummy email, such as scam@likely.com, but is required to show up later in Skype. Select Save and close the contact window. Select contacts in Skype and search for the contact name in the search bar. Highlight the contact and press the Ctrl key, then tap your trackpad or right-click to display a drop-down menu. Select Blocked Contacts. This will reveal a pop-up asking you to confirm the action.